Solomon graduated from the University of Ghana Business School in 2007 with a Bsc Administration degree (Insurance Option), first class honors. He is an Associate Member of the Chartered Insurance Institute (U. K.), a Chartered Insurer and holds a Commonwealth Executive Master’s in Business Administration Degree (Marketing) from the Kwame Nkrumah University of Science & Technology, Kumasi. 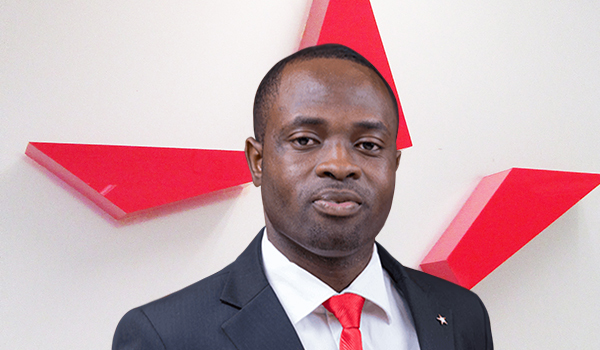 His insurance career started in June 2007 as an intern at the Kumasi Branch of Star Assurance, where he was also given the opportunity to do National Service. In September 2008 he was offered permanent employment as an underwriting officer at the Kumasi Branch and in August 2009, was transferred to the Sunyani Branch as Branch Manager. He was further transferred from Sunyani Branch in 2013 to Tema Branch. He was made to head the newly created Dansoman Branch in 2014. He has attended several insurance and management courses organized by the National Insurance Commission, Ghana Insurance Association, NCA re of Cote d’voire and Continental Re of Nigeria. He has experience in underwriting, claims processing and risk advisory services.